Five injured in axe attack at a train station in Dusseldorf. Two suspects arrested. 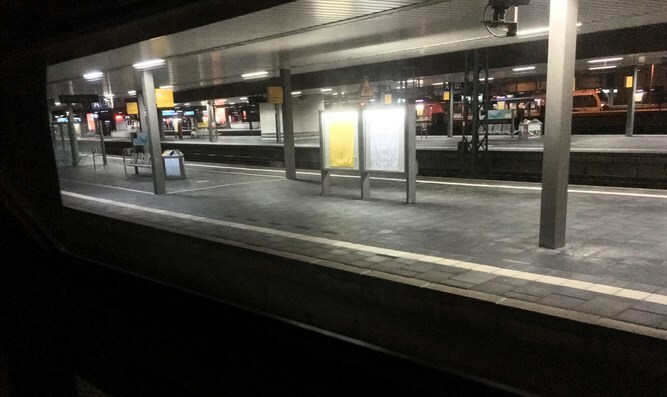 At least five people were injured on Thursday evening in an axe attack at a train station in Dusseldorf, Germany. The station has been sealed off by armed police and trains are not stopping at the station, according to The Telegraph. Local police said two suspects were arrested. The motive for the attack is not yet clear, but Germany has been under a high-threat terrorist alert following a series of attacks which hit the country in the past year. In the first attack, a 17-year-old Afghani with an axe attacked passengers on a train in Wurzburg before being shot dead by security forces. Most recently, terrorist Anis Amri drove a truck into a Christmas market in Berlin, killing 12 people and injuring 48. ISIS later claimed responsibility for the attack.